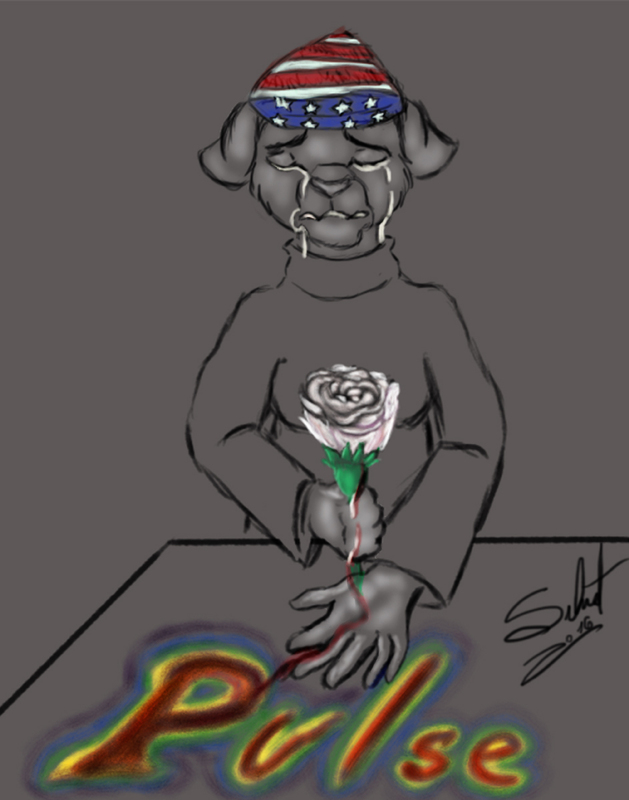 The staff of InkedFur are heartbroken over the events last weekend in Orlando. Sangie working with the staff decided to host a fundraiser to raise money for Equality Florida. Of all the prints that are purchased below over the next week, half of the proceeds will either go to Equality Florida’s gofundme or directly to the organization to help benefit the victims of the Pulse shooting. The artists will still get their share of the profits. All the images below have been selected from our staff and creators that we feel appropriately represent all facets of the LGBTQI+ spectrum, with some pieces directly drawn to vent out the heartache of this tragedy. More info and the prints nominated by the staff and creators of InkedFur. Again, all prints purchased here will still have royalties go to the artist plus InkedFur will donate 50% of the proceeds to Equality Florida. Please place your purchases before Friday, June 24th, which is when the fundraiser will end at 11:59 PM CST.